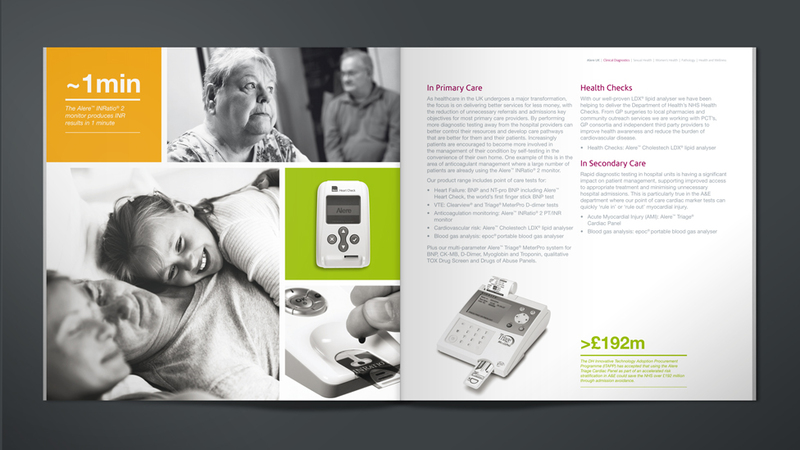 We created an engaging medical brochure design to visually extend Alere’s new brand identity and showcase its products and services in a clean and concise way. 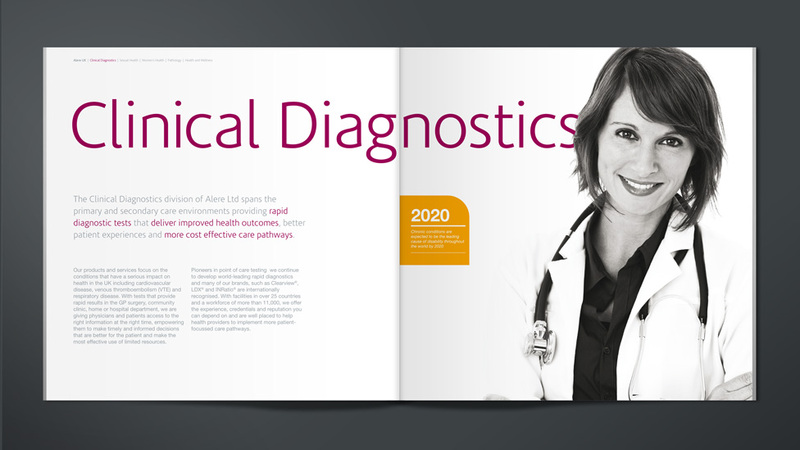 As a long time player in the medical diagnostics equipment sector – but with a relatively new name – our client needed a medical brochure design with a fresh look and feel. Following on from their rebrand and launch of their new name and logo, Alere UK asked Parker Design to come up with a medical communications piece that embodied their new brand. 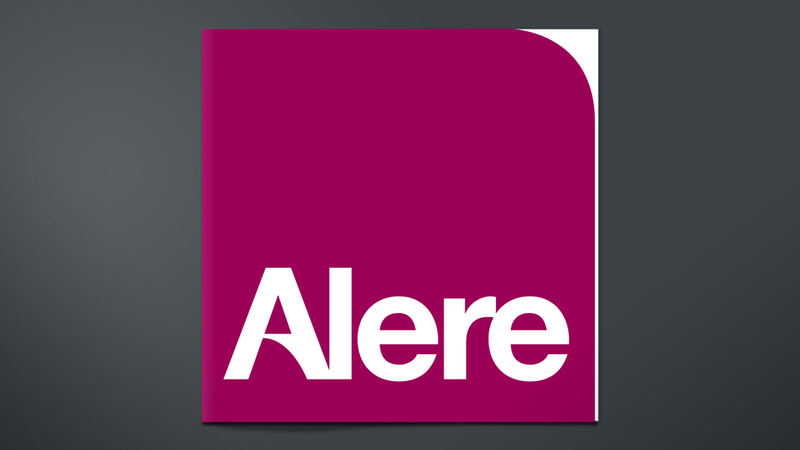 We took our inspiration for the cover design directly from the new Alere logo. This not only gave us the ability to push the brand, it also gave us a distinctive square format for the medical brochure design. This was further accentuated with a innovative die cut to the cover following the curve of the logo. we’ve come to rely on, sometimes against very tight deadlines”. The inside brochure spreads feature a combination of striking black and white photography and subtle colour panels taken from the Alere brand palette. 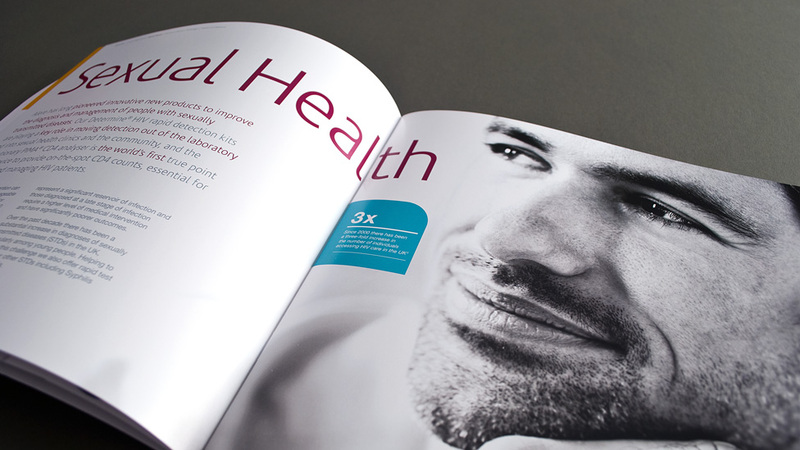 The layouts have a strong clinical appeal whilst also retaining a friendly magazine quality, reflecting both the market sector Alere work in and the culture of the company.